Much loved celebrity chef Yotam Ottolenghi shared the birthday cake he made his toddler on Twitter recently, and it’s fair to say that everyone went nuts! 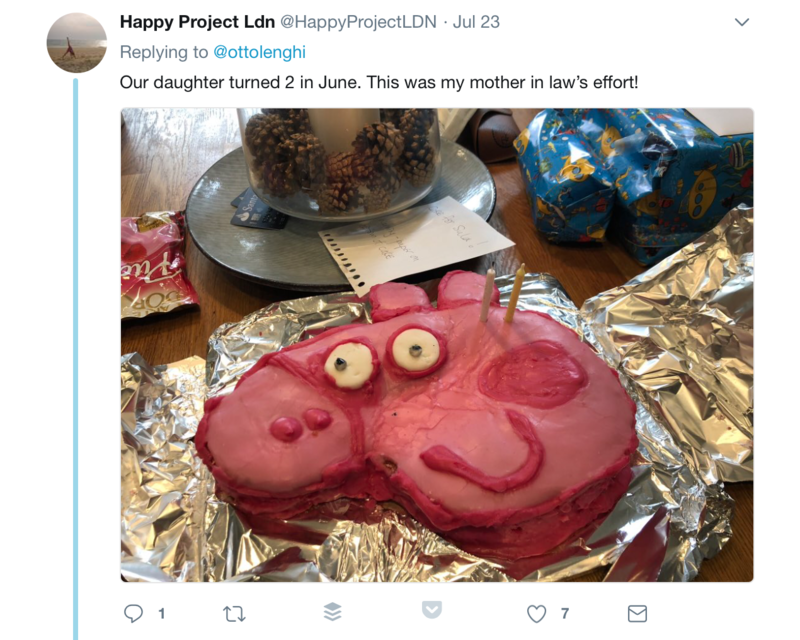 Yotam admitted he’s in the Parents Who Strongly Dislike Peppa Pig Club, but when it came to his son’s big day he couldn’t help but make his cake wishes come true! “Someone’s just turned 3. As much as I’m not a fan of that little pig girl, I had to oblige… #parenthood,” he captioned a photo shared on Twitter. The image shows Yotam’s son admiring the Little Pig Girl cake his dad whipped up, in all its pink iced glory. Foodie fans were delighted at this news – and keen to comment on the surprising cake. “Pomegranate molasses in the icing, I assume …” one quipped. “Wow, what would you have done if you WERE a fan?! Lovely! Oink!” another gushed. “So long as it’s not that questionable daddy pig,” someone else wrote, with a sort of guarded approval. Yotam’s fans were also very keen to share their own forays into Little Pig Girl baking land. 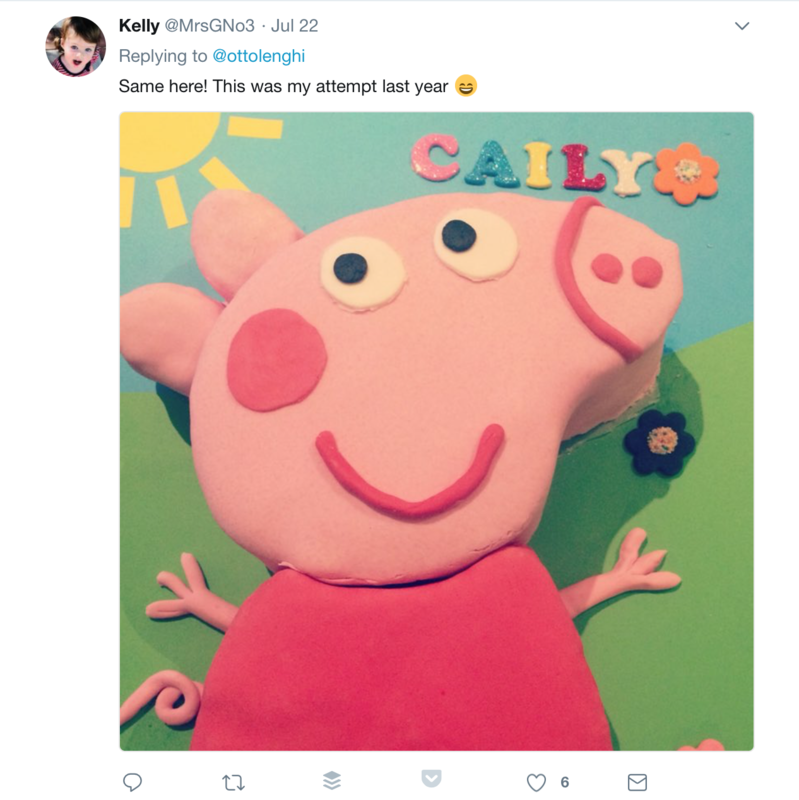 Some uploaded photos of their own Peppa cakes – and we have to say they displayed varying degrees of skill and success. It’s clear that there are a whole heap of wee Peppa fans out there, but as we recently discovered, mums and dads are often not quite so keen. 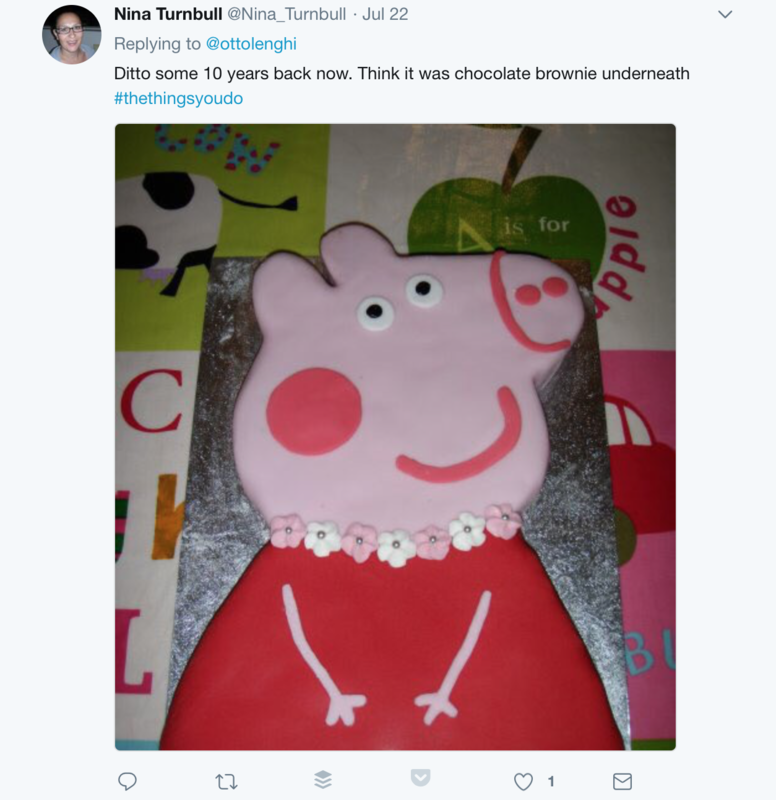 “I’m a vegetarian, but if someone made Peppa Pig into a bacon sarnie I would eat it out of sheer spite,” another vengeful parent posted in response. It’s clear that while many are divided over Little Pig Girl and her manners, she’ll continue to hold a special place in little fans’ hearts.